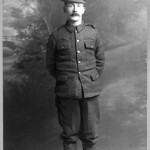 This entry was posted in Poets at War and tagged Poets at War, The Battle of the Somme, World War 1 tours. Bookmark the permalink. This entry was posted in Poets at War, World War One and tagged Battlefield Tours, Charles Sorley, First World War, Poets at War, Rudyard Kipling, Siegfried Sassoon, The Battle of Arras, The Battle of Loos, The Great War, Thiepval. Bookmark the permalink. This entry was posted in Chapters from the Western Front, Ypres Remembered and tagged Chapters from the Western Front, First World War, Talbot House, Third Battle of Ypres, World War 1 tours. Bookmark the permalink. This entry was posted in The Battle of Arnhem, World War Two and tagged 1st Airborne Division, Battle of Arnhem, Field Marshall Montgomery, Nijmegan, Oosterbeek, Operation Market Garden. Bookmark the permalink. This entry was posted in The Forgotten Front, World War One and tagged Corps of Royal Engineers, First World War, Givenchy-lès-la-Bassée, La Boisselle, Ploegsteert Memorial, Royal Engineers Museum, Sapper William Hacket, Victoria Cross, Walking the Somme tour, William Hacket, World War 1 tours, Ypres, Ypres Tours. Bookmark the permalink.